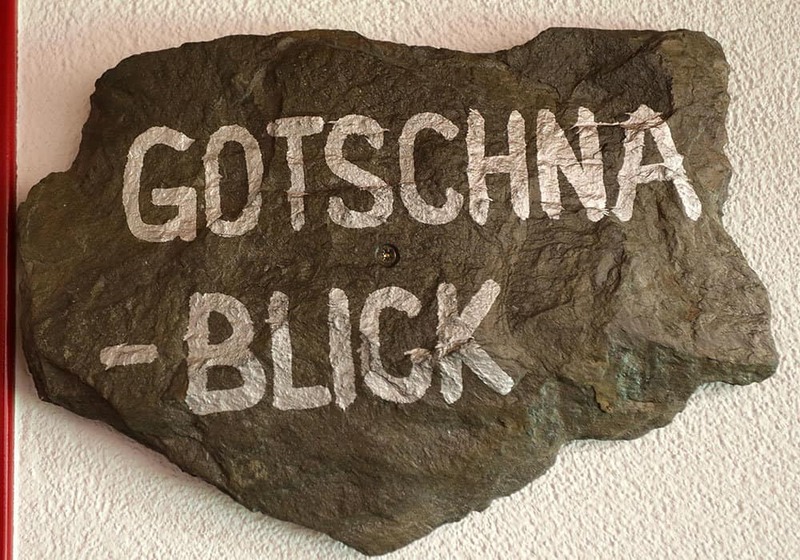 Unsere Auswahl an Zimmern lädt zum Wohlfühlen ein! 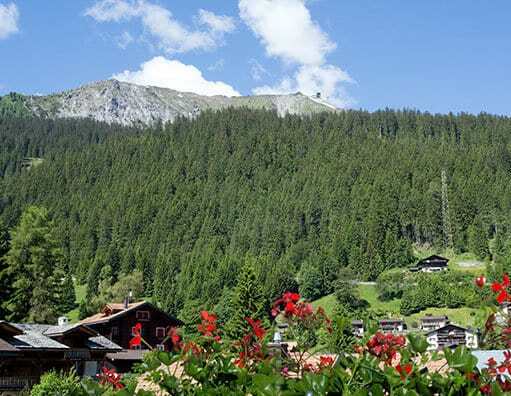 One double bed or two single beds, own toilet and shower, hairdryer, Digital-TV, balcony with a nice view to the mountains, WLAN, non-smoking, size 19m2. Three single beds and one authentic wooden bunk beds, lounge area with cable TV, bathroom with 2 showers and a separate toilet. Hairdryer. WLAN, non-smoking, Size 40m2. Lovely rooftop terrace with views towards the Gotschna. Suitable for 5 people. 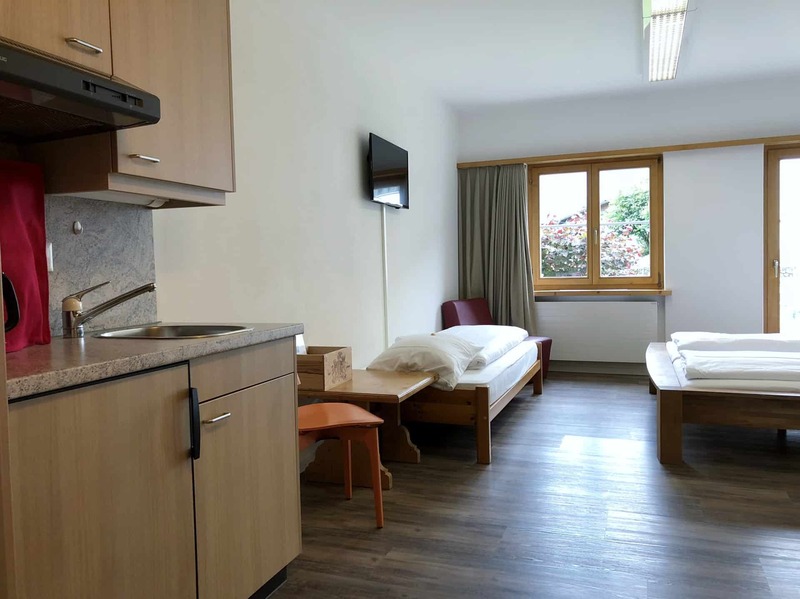 Family Room Gotschnaview: CHF 200.- to CHF 350.-. Including breakfast. Cosy Studio with garden sitting area. One bedroom with three beds. 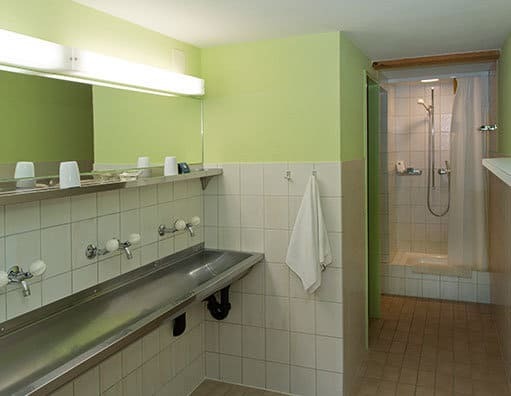 Bathroom with shower/toilet, hairdryer. Fridge and water boiler, TV and WLAN. Non-smoking. Size 25m2. 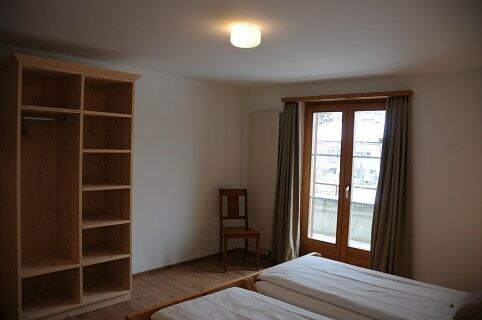 Garden Studio: CHF 180.- to CHF 300.-. Including breakfast. Apartment with 2 rooms. 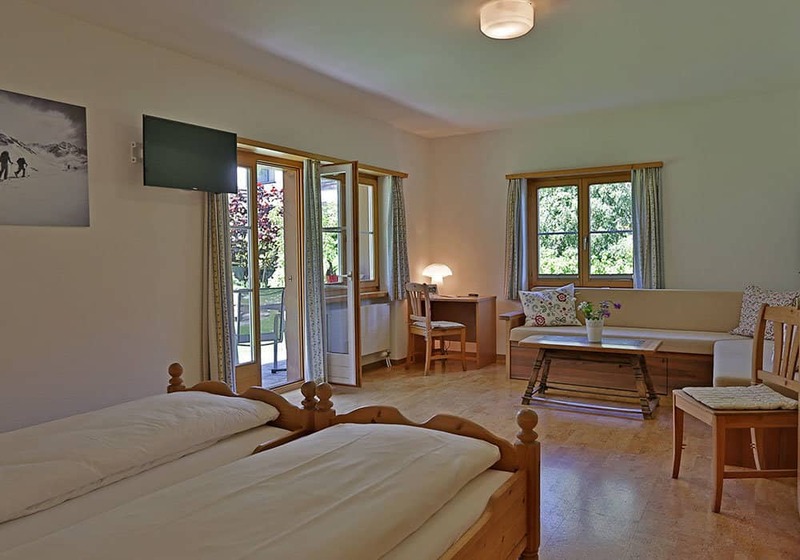 One bedroom has three beds and one bedroom has two beds and one table with 4 chairs, TV. 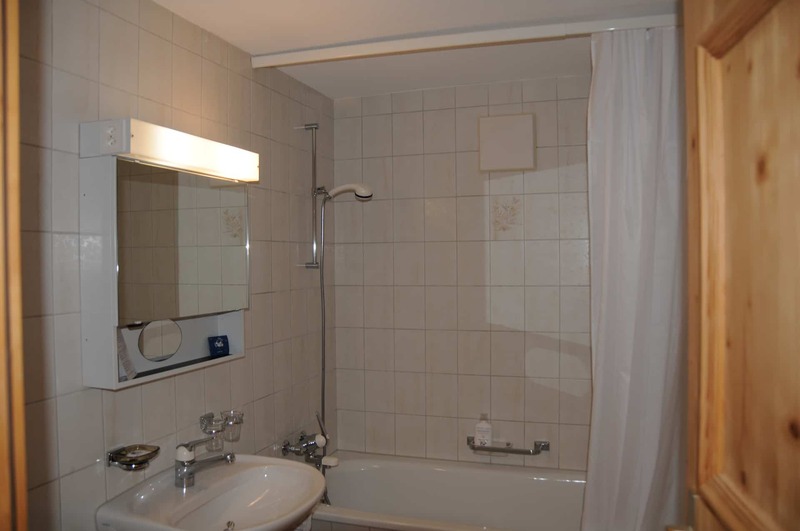 Small bathroom with shower/toilet and hairdryer. 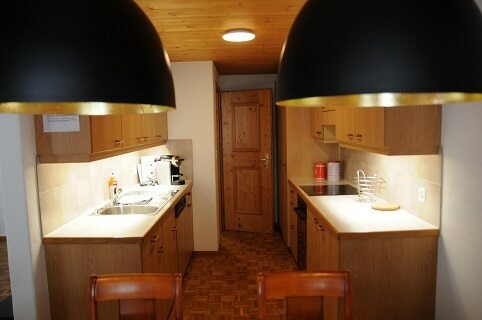 Small kitchen with four hotplates, oven, fridge, water boiler, minimum of kitchen equipment. Outdoor sitting area in public area. WLAN. Non-smoking. Size 60m2. 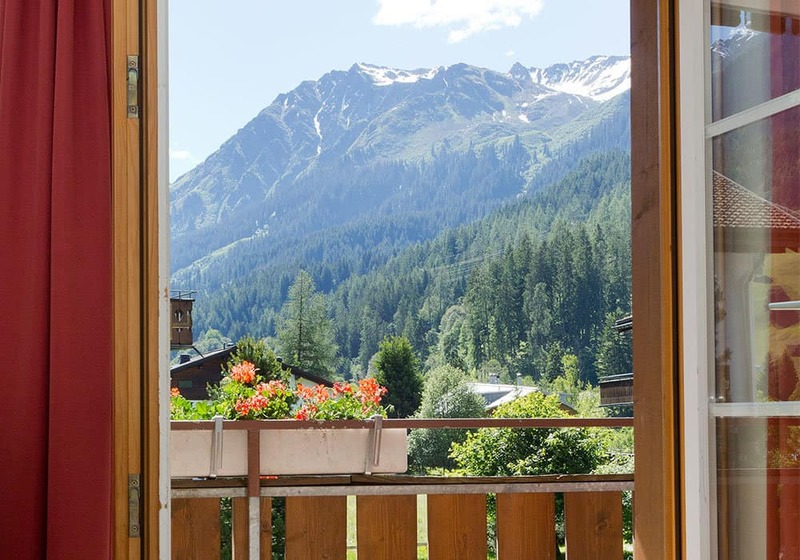 Apartment Gardenview: CHF 200.- to CHF 350.-. Bedlines, frotte & endcleaing including. No meals including. Three Bed Room Apartment with Living Room. 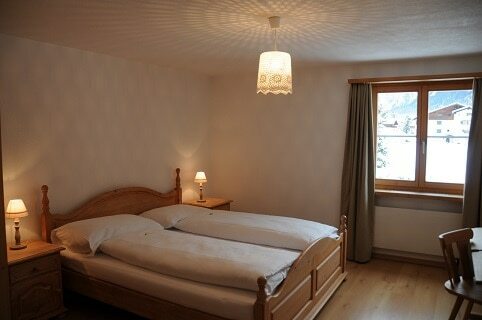 Three bedrooms with each two single beds, one seperat toilet and one bathroom with bath/shower and toilet. 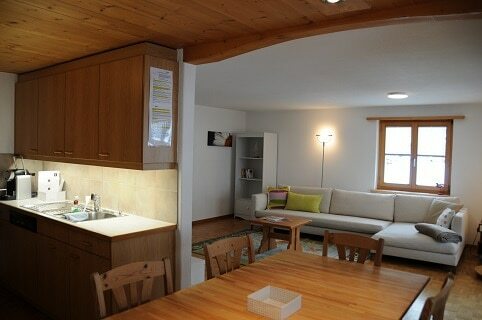 Fully equipped kitchen with fridge, oven, dishwasher. 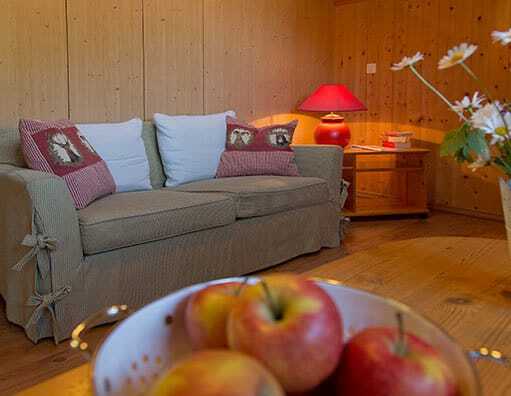 One table and six chairs, livingroom with lounge and TV, balcony with sitting area, view to the mountain. WLAN, non-smoking. Size 120m2. 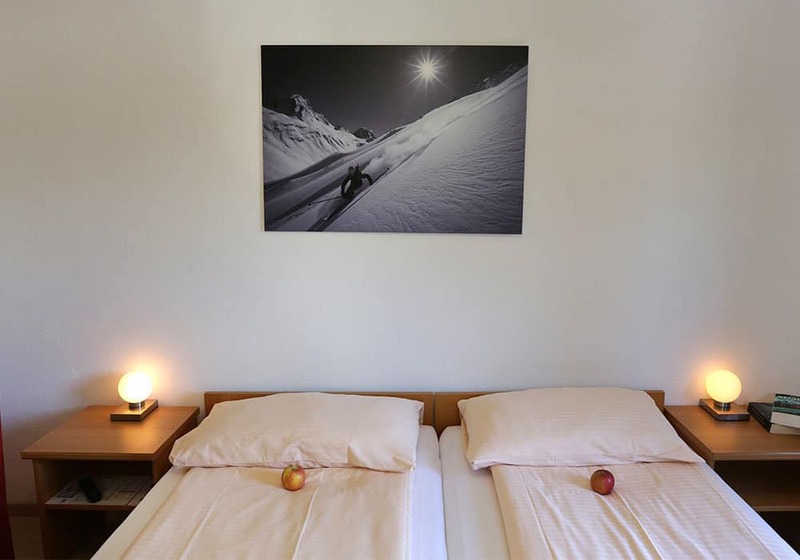 per night, Opening Prices: CHF 300.- to CHF 500.-. Maximum 6 people. No pets allowed. 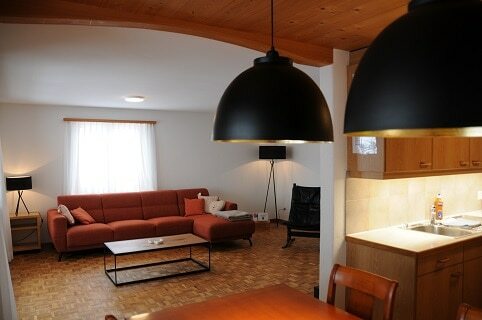 Two Bed Room Apartment with Living Room. 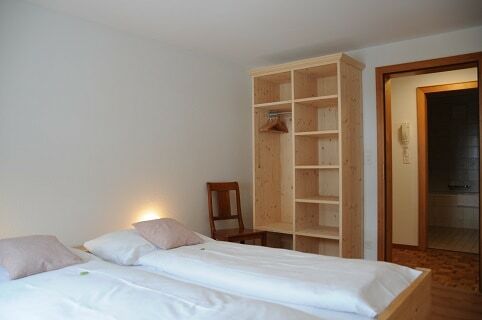 Two bedrooms with each two single beds, one seperat toilet and one bathroom with bath/shower and toilet. 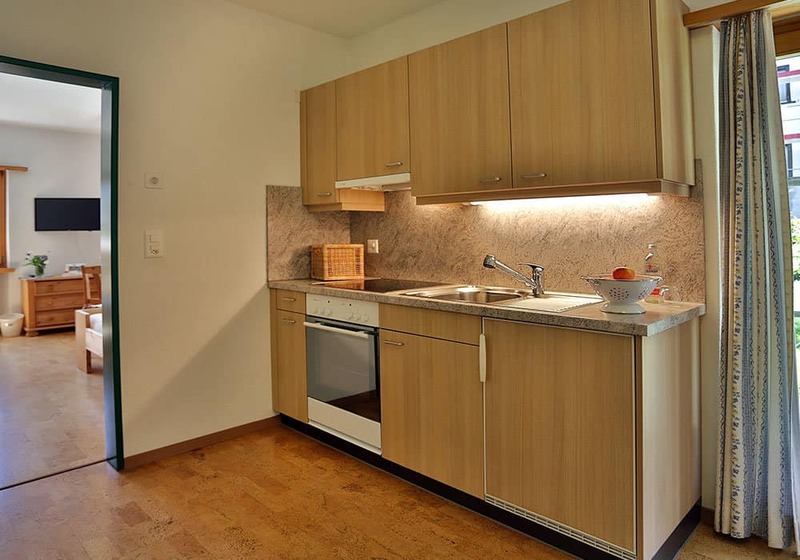 Fully equipped kitchen with fridge, oven, dishwasher. 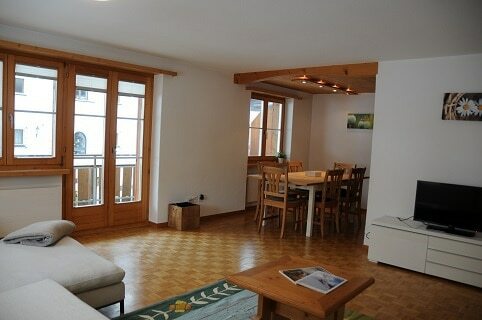 One table and four chairs, livingroom with lounge and TV, balcony with sitting area, view to the mountain. WLAN, non-smoking. Size 90m2. 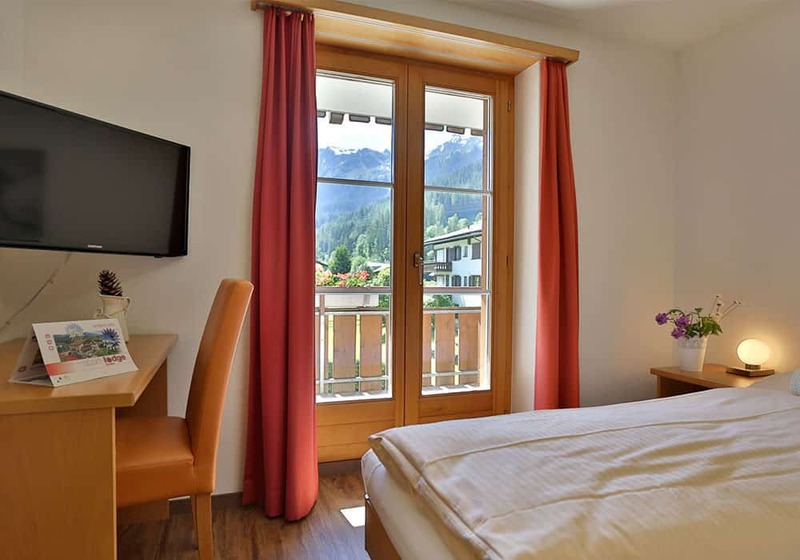 per night, Opening Prices: CHF 250.- to CHF 450.-. Maximum 4 people. No pets allowed. Outdooparking CHF 10.- per day or public parking opposit. Depending on availability. Children until 3.99 years free of charge in the parents bed in the double room. 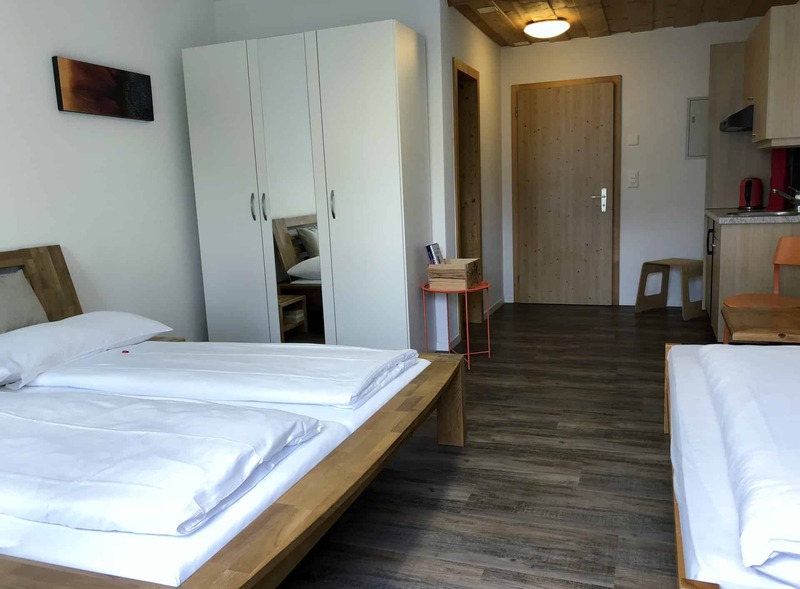 Children from 4 to 11.99 50% of the person price double room in an extra bed. 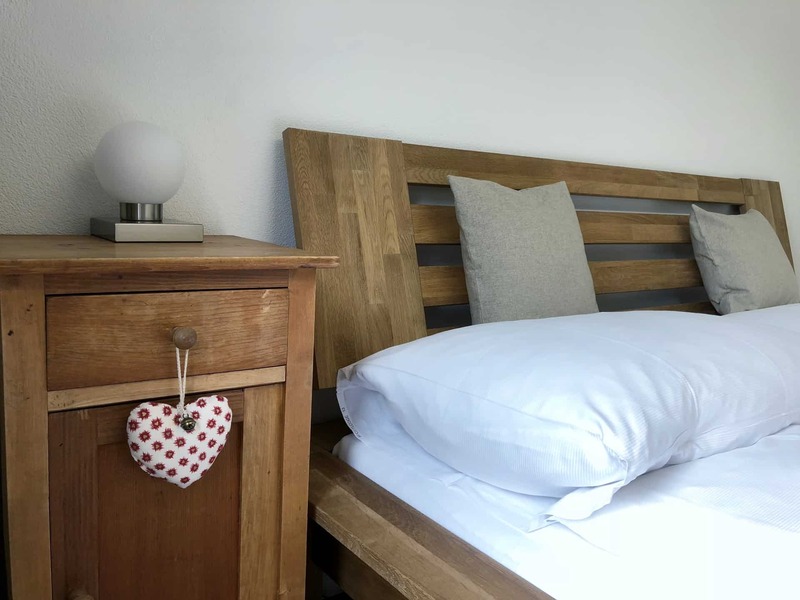 Children from 12 to 15.99 25% of the person price double room in an extra bed. Children playing ground just next to the breakfastroom.